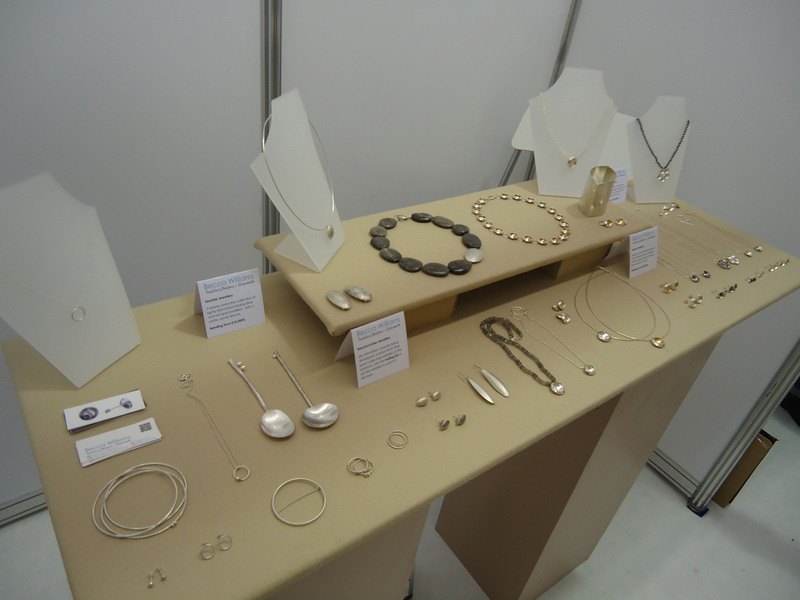 The newcomers section at this year’s British Craft Trade Fair was an especially vibrant and lovely place, filled with exciting ideas and makers keen to talk about their work and how their businesses are developing. 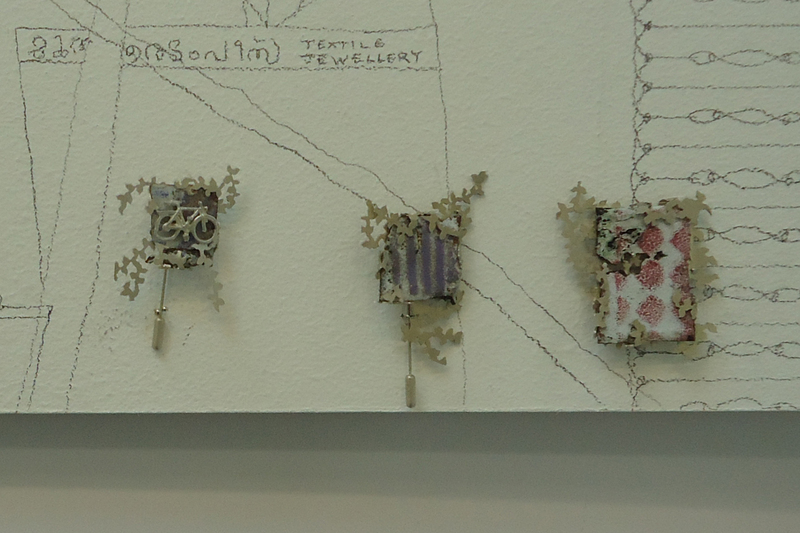 Emily Knight trained up in Glasgow and her work has a beautiful emphemeral quality about it. 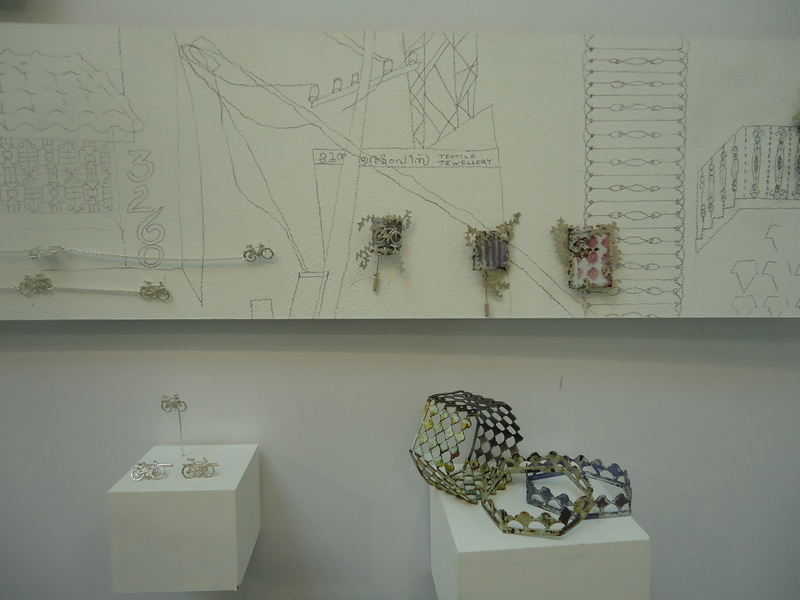 She displayed her distinctive silver and enamel pieces against hand drawn sketches – which looked so wondefully natural that you can’t help feeling that the walls were an extention of her sketchbook. She’s got a wondeful eye for setting colours together without the enamels looking harsh and the fun, quirky details (like the little silver bicycles) makes them wonderful and light. They have quite a soft, vintage feel which is given a classic edge by her use of the pearls and other beads that give form to her pieces. And just one aisle over was the work of Karen Fox, another recent graduate with a passion for neat, structured pieces built up out of layers of texture. Her larger scale ruffle pieces (like the collar that you can just see on the left) wouldn’t look out of place at the ballet and have a defnite theatrical, Elizabethan flavour that makes you want to layer them up into giant sculptures. 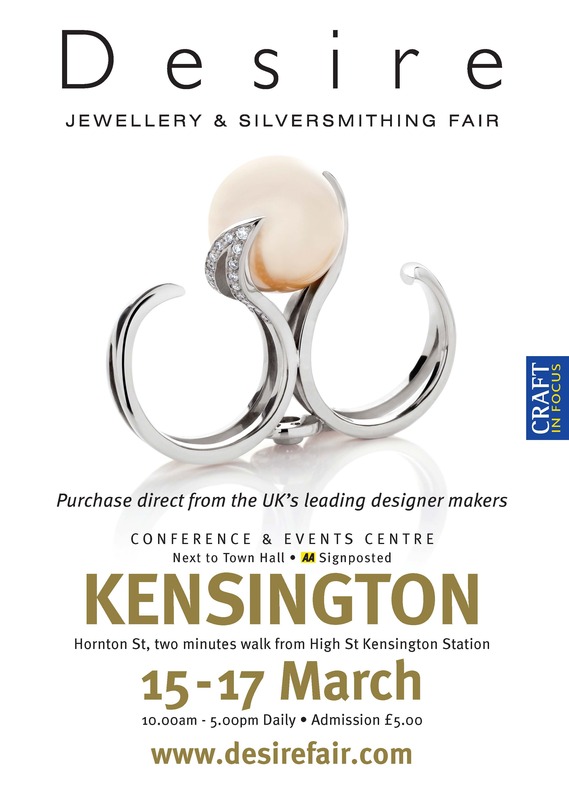 The whole show catalogue is online here for you to get a flavour of just how much craft work was on show. 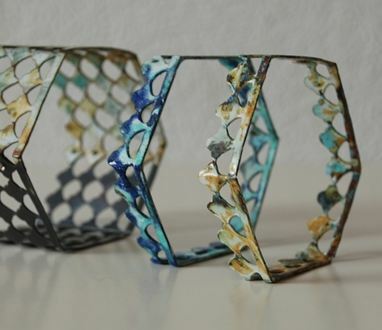 It was a truly stunning collection of work from new and established makers alike which gives me a lot of hope for the future of the creative industries in the UK – it’s really wonderful to be working in so vibrant a marketplace. 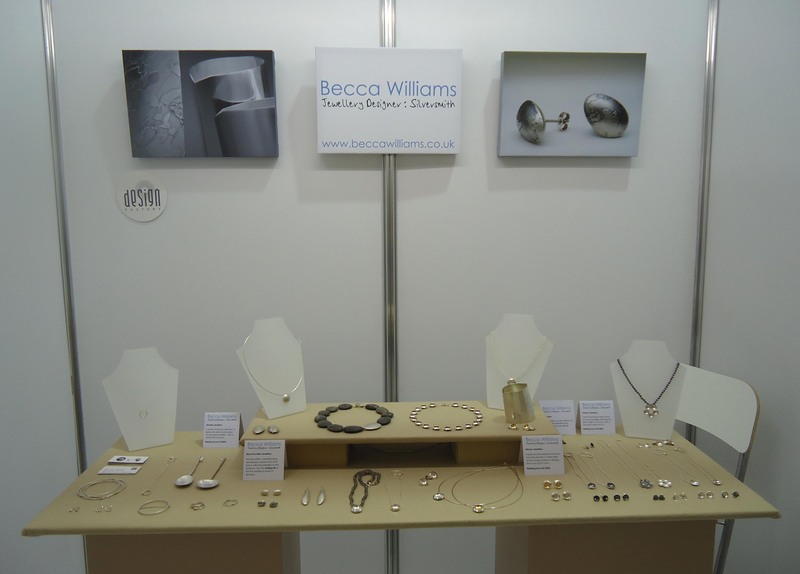 I spent the weekend at the British Craft Trade Fair introducing some of my work to trade buyers and getting the first real public reaction to the new beachcomber pieces. 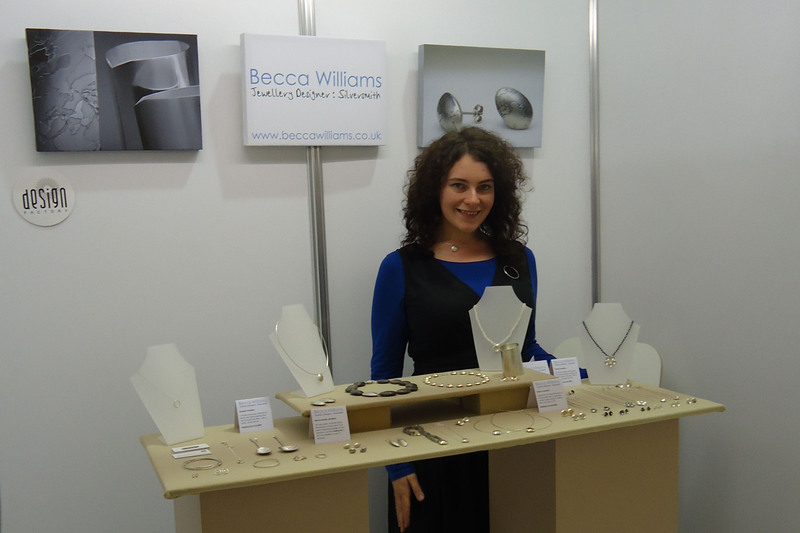 I’ve never independantly taken my work to a trade show before but the whole expereince was overwhelmingly positive. 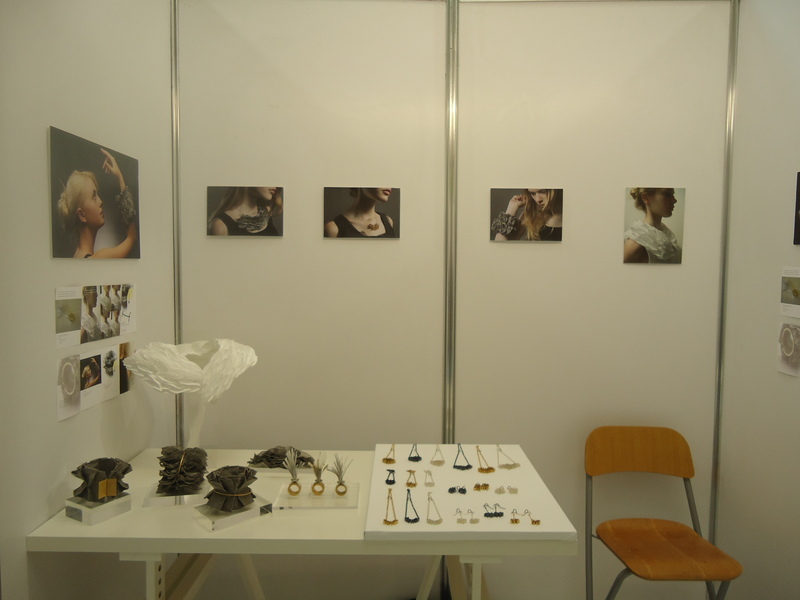 The show had over 400 stands filled with handmade, british contemporary craft and the high standard of the work on show was inspiring. It was wonderful to be in such creative company and everyone was so nice. Working on your own it’s easy to forget how many other people are working and learning about handmaking all the time too – and I swapped a few good stories and bits of advice with the other exhibitors.